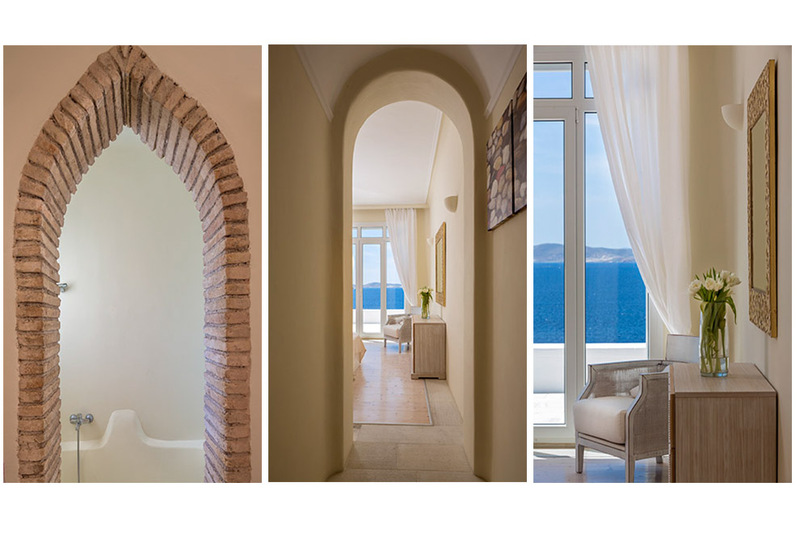 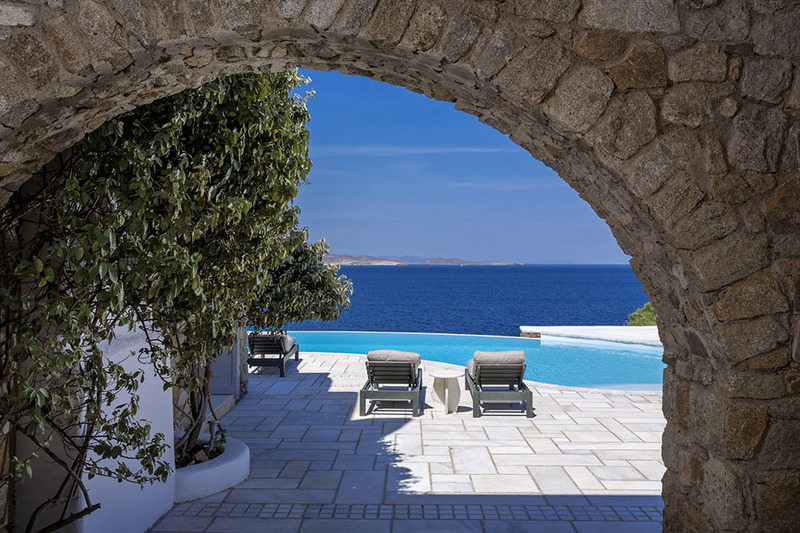 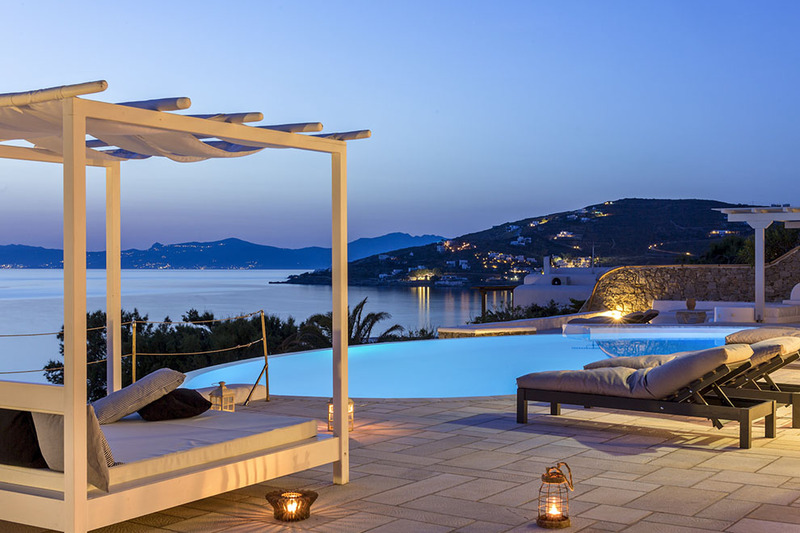 Close to the sea, the luxurious villa “Summerday” is located in the sublime area of Saint John in the south-west of Mykonos. 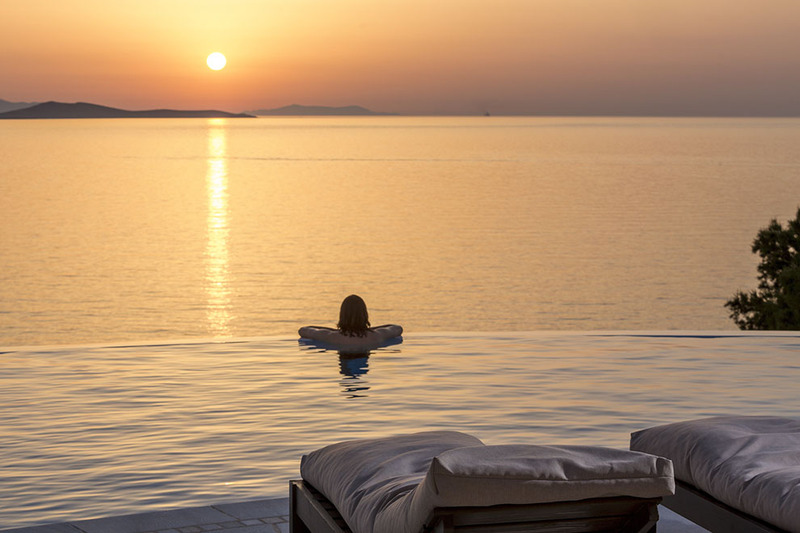 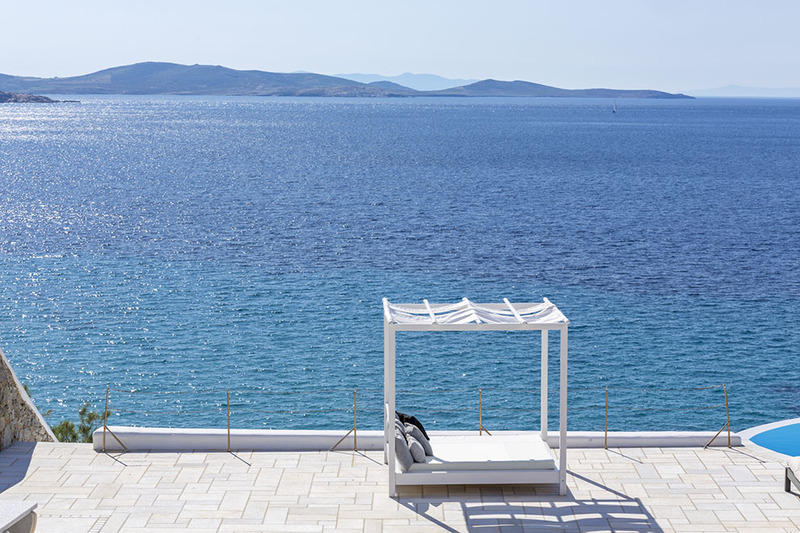 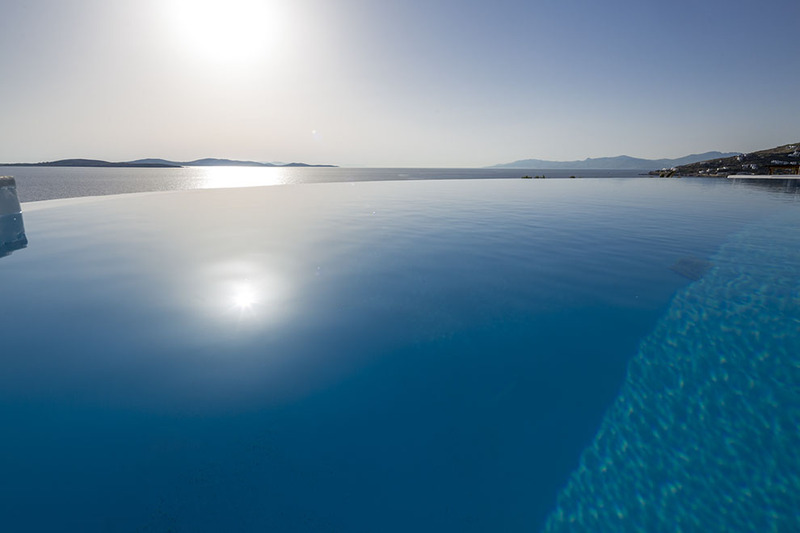 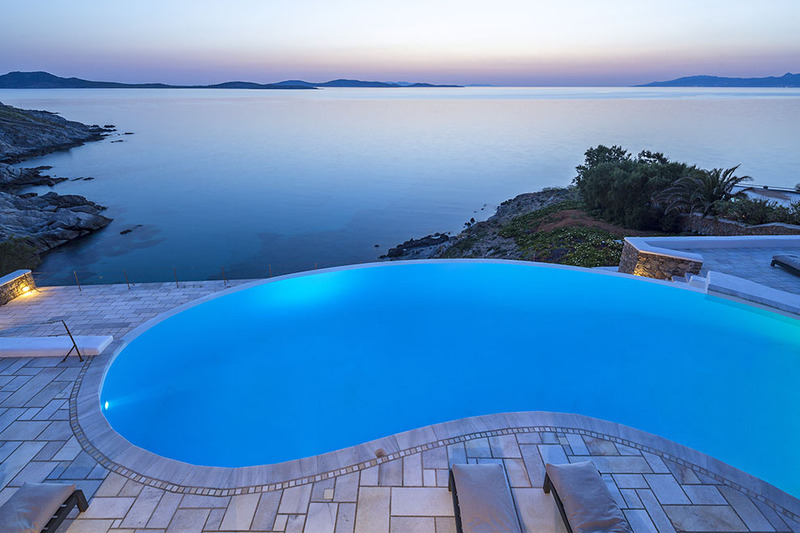 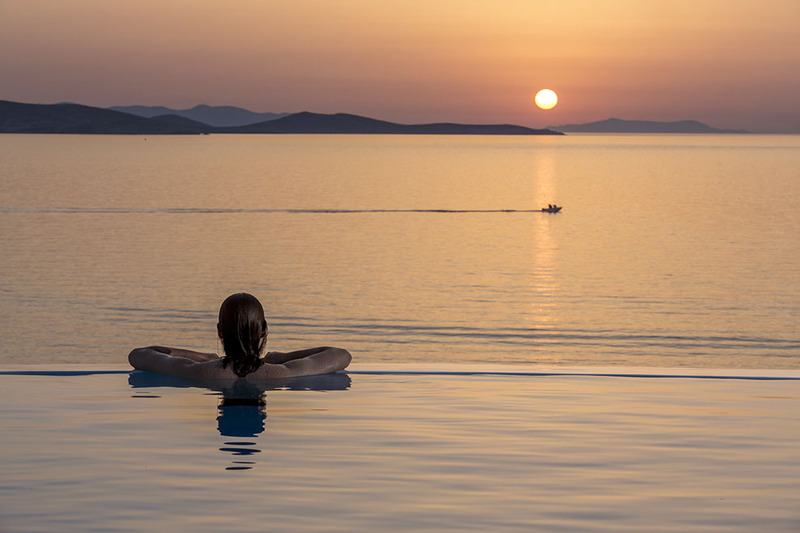 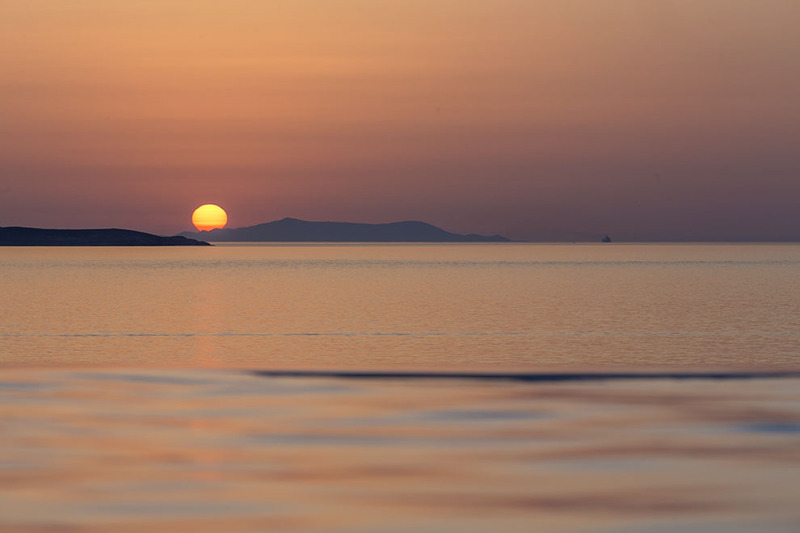 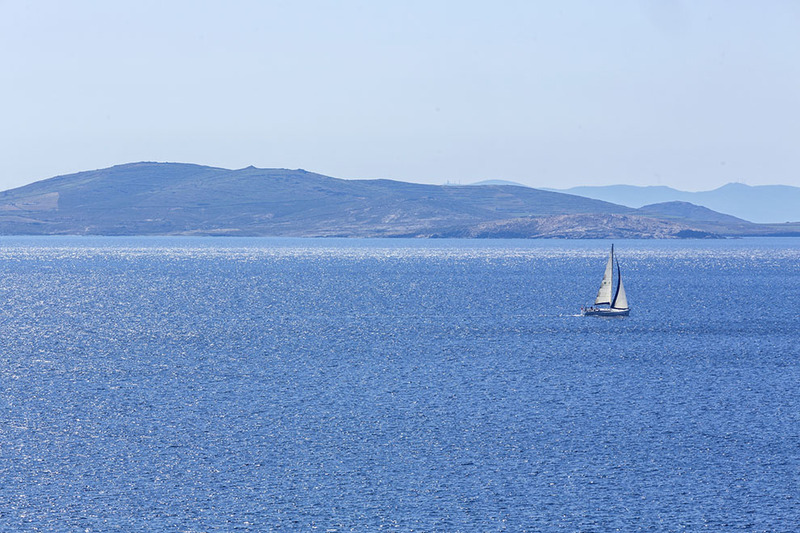 The splendid view towards the ancient island of Delos, along with the infinite blue of the Aegean and the beautiful sunsets, creates the opportunity for unique moments of relaxation and mental exaltation. 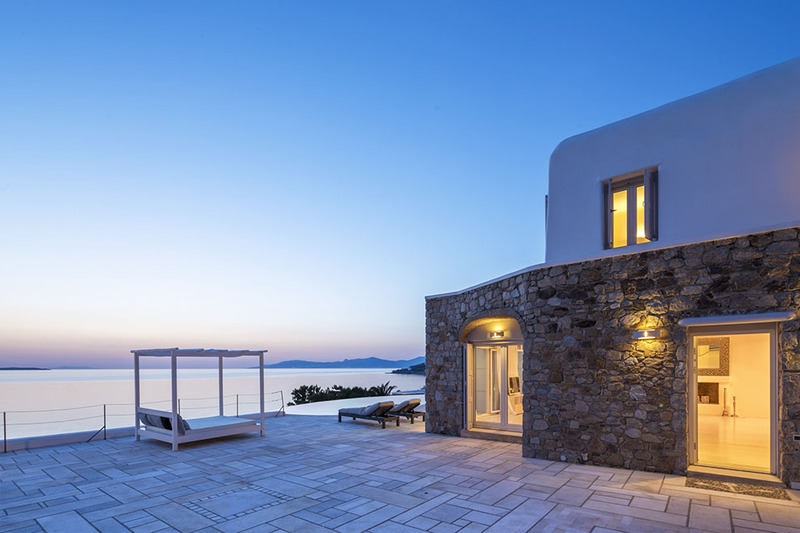 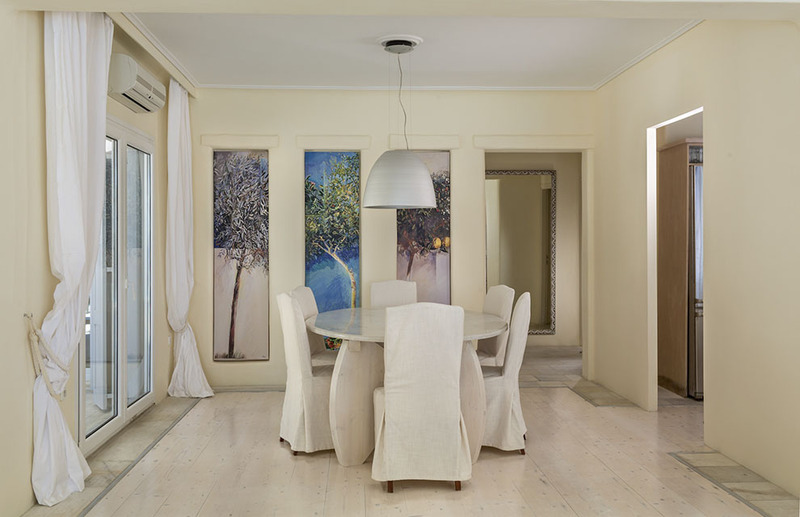 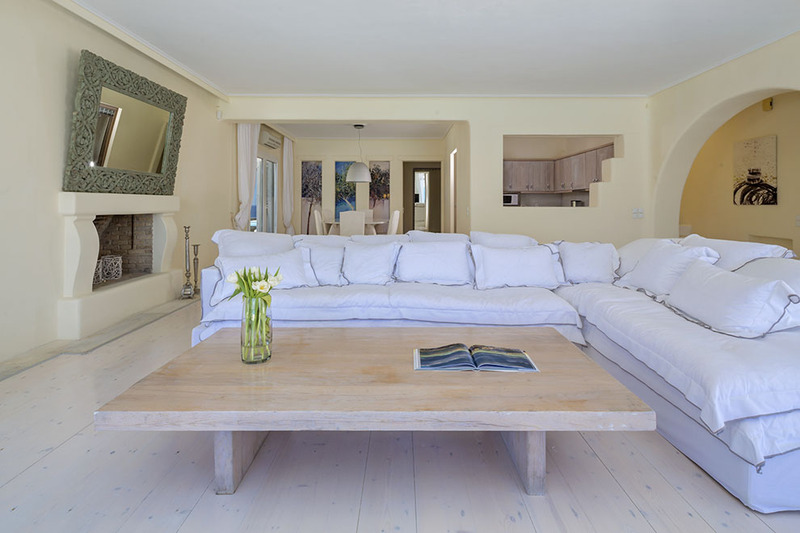 The distinguishing feature of this luxurious villa is the union of the Mykonian traditional architecture with the current contemporary style. 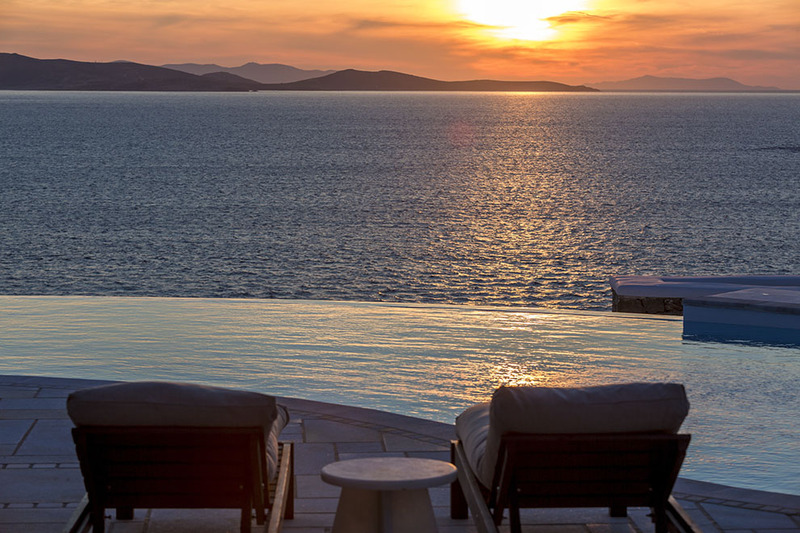 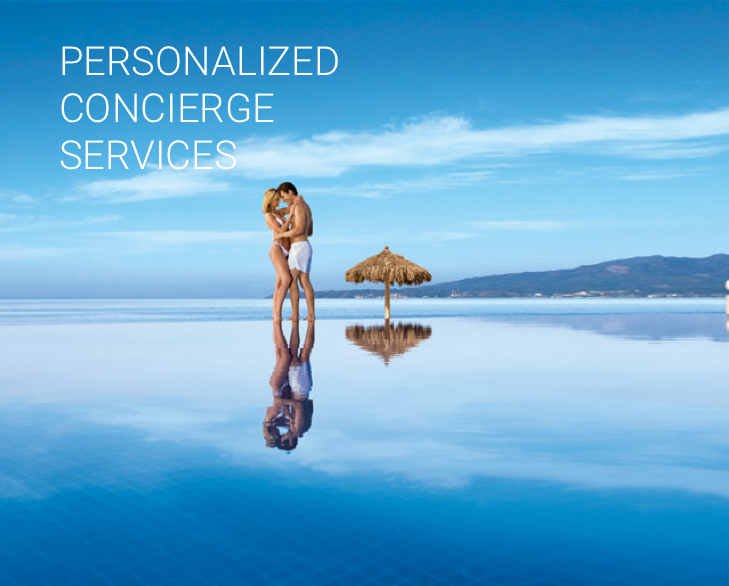 The exterior has pergolas shading the large outdoor seating and dining area which, in combination with the infinity pool, offer ideal moments for relaxation during the day, a romantic supper viewing the divine sunset or a cocktail party with some friends in the evening. 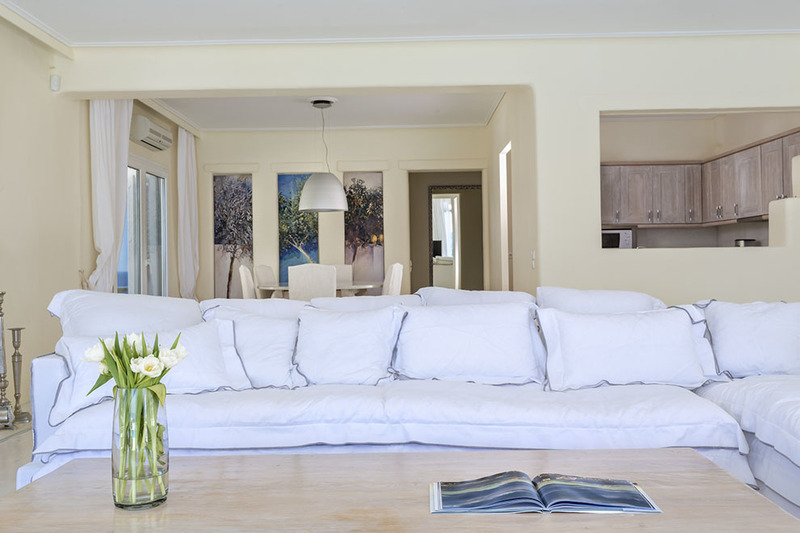 The beautifully decorated spacious living room with the magnificent view to the pool and the sea, along with the elegant dining area, has direct access to the grounds, creating an absolutely unique environment for hospitality and recreation. 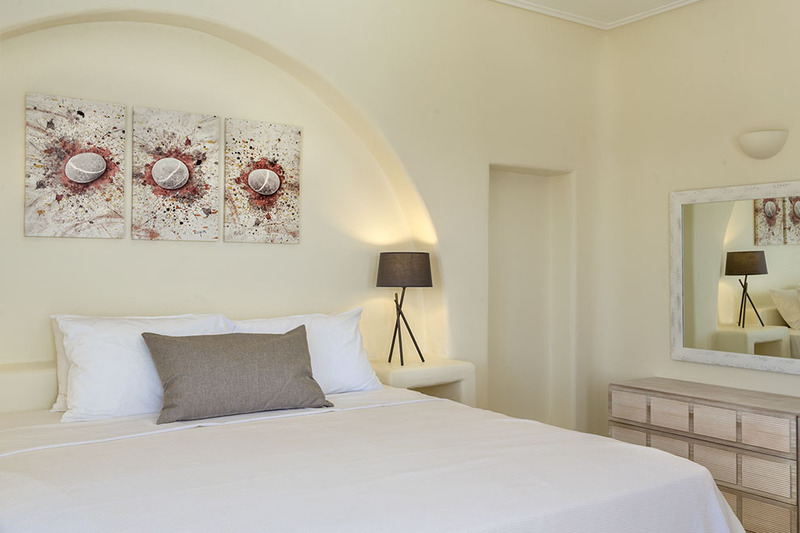 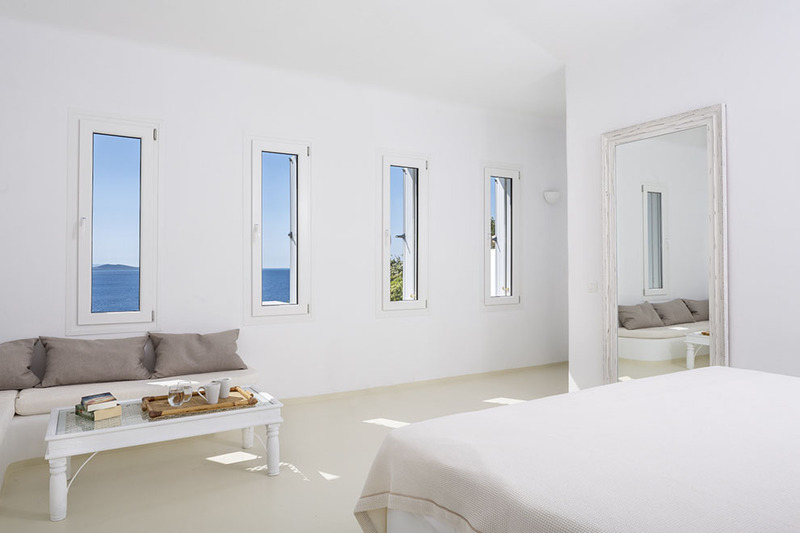 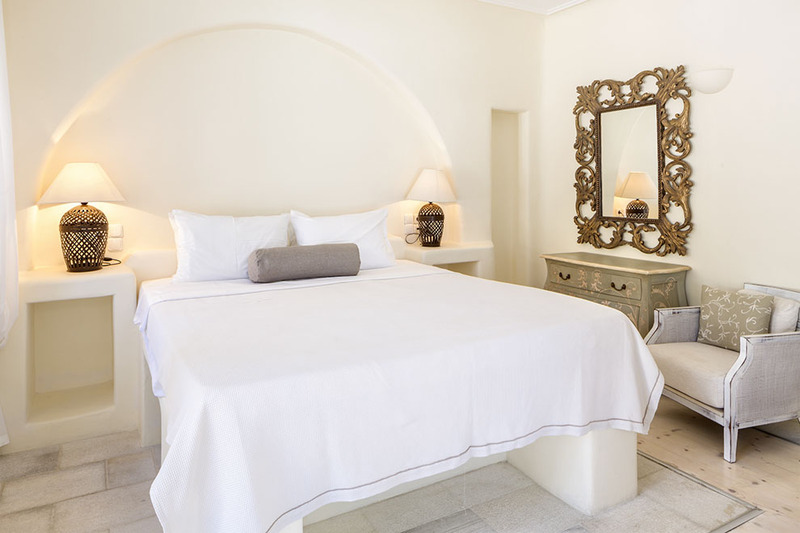 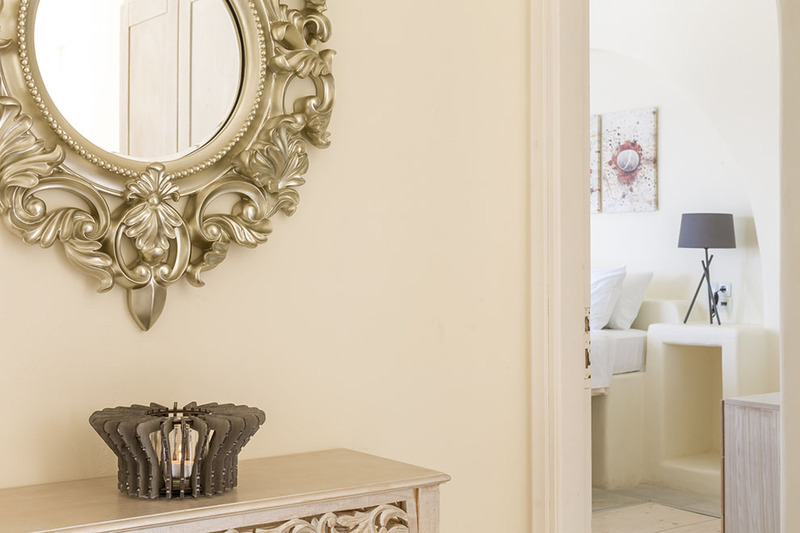 This luxurious villa provides five superbly decorated master bedrooms, as well as two separate studios of full autonomy, each with an individual entrance. 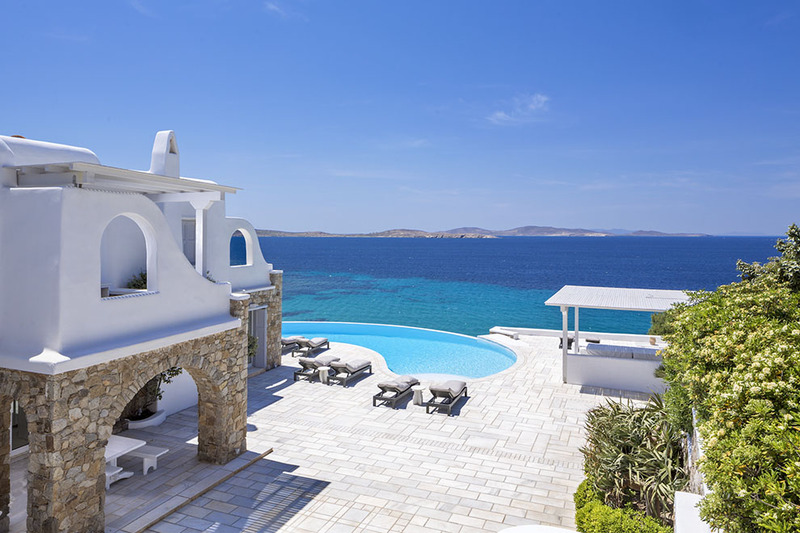 Within reach of the villa is the ravishing beach of Saint John with restaurants which are famous for fresh fish and which are literally on the wave with views across to the island of Delos. 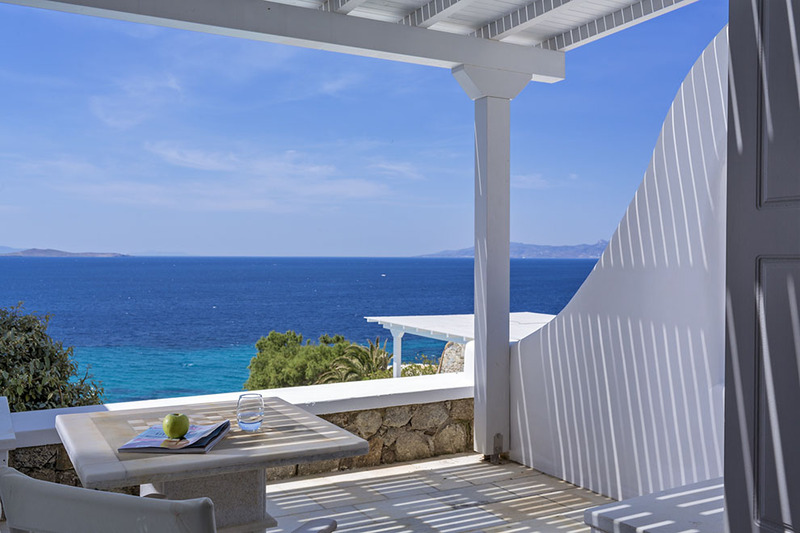 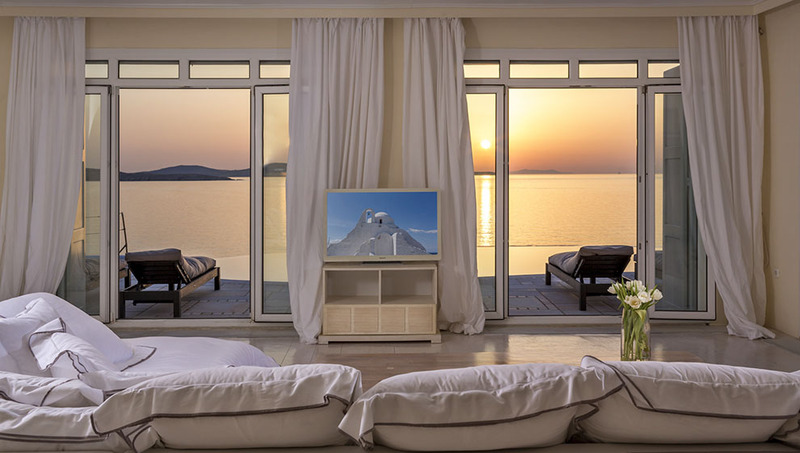 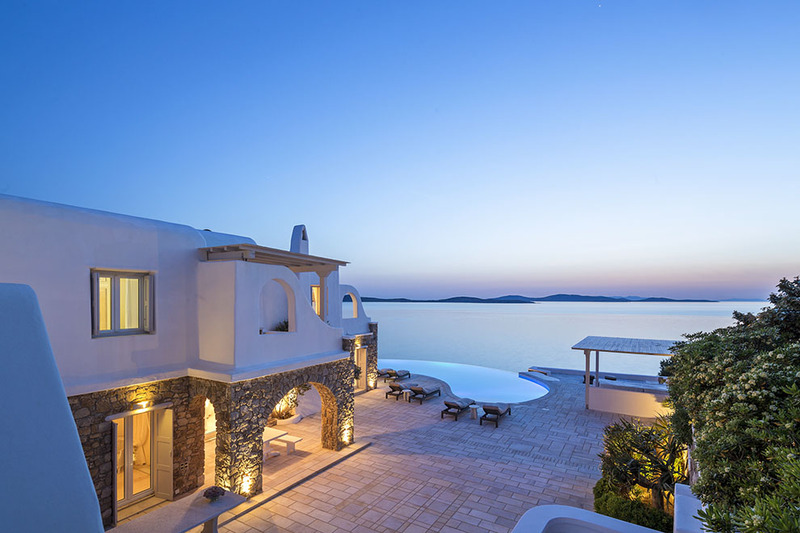 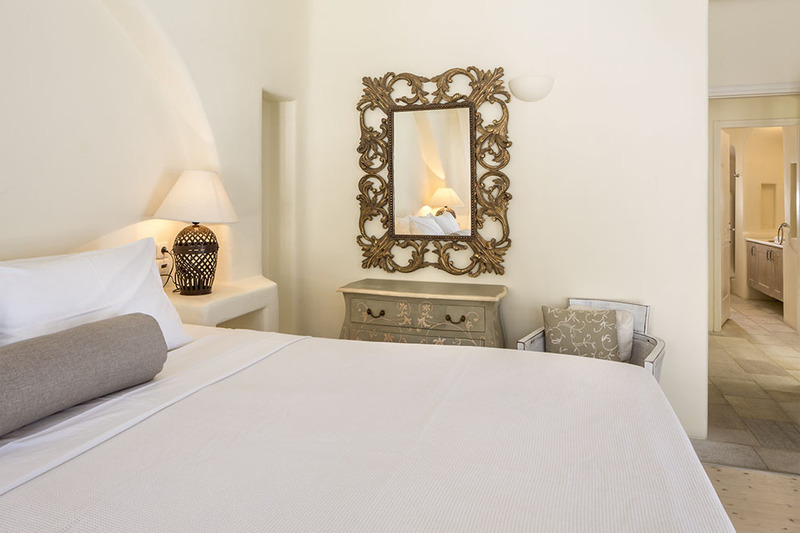 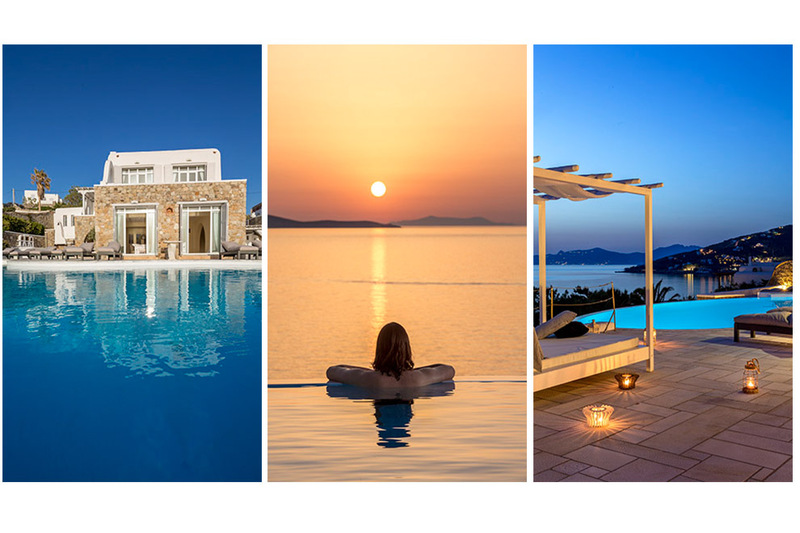 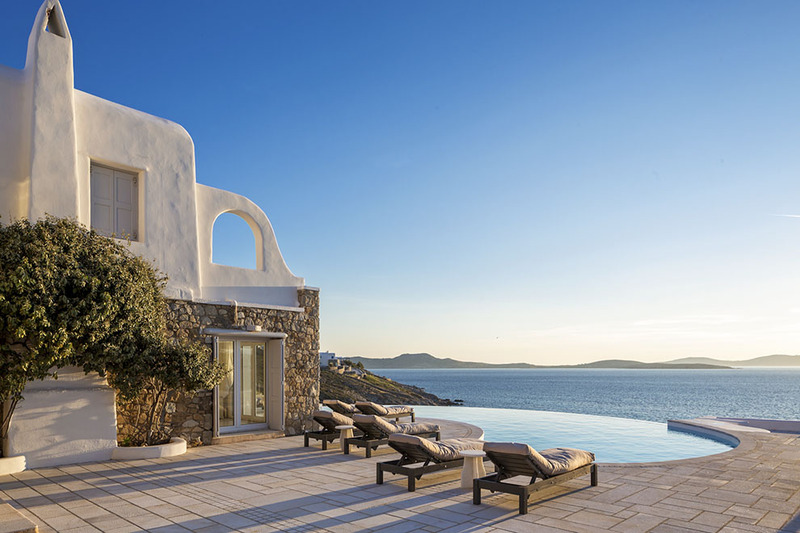 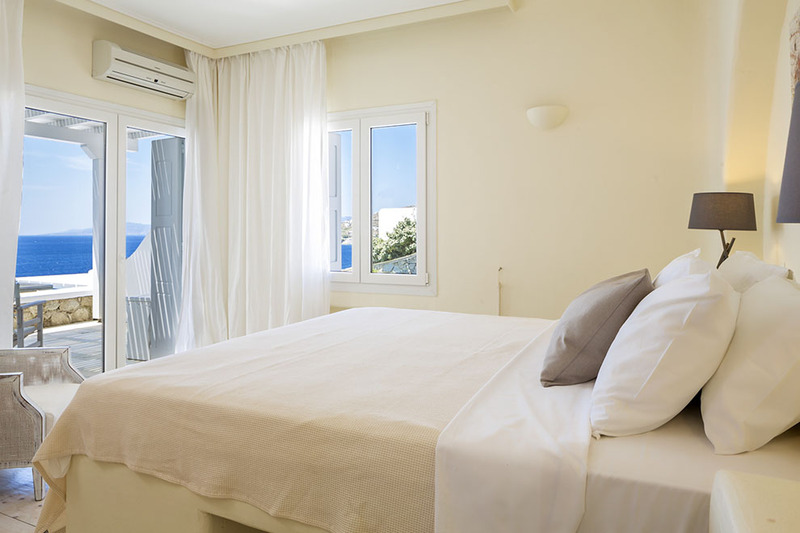 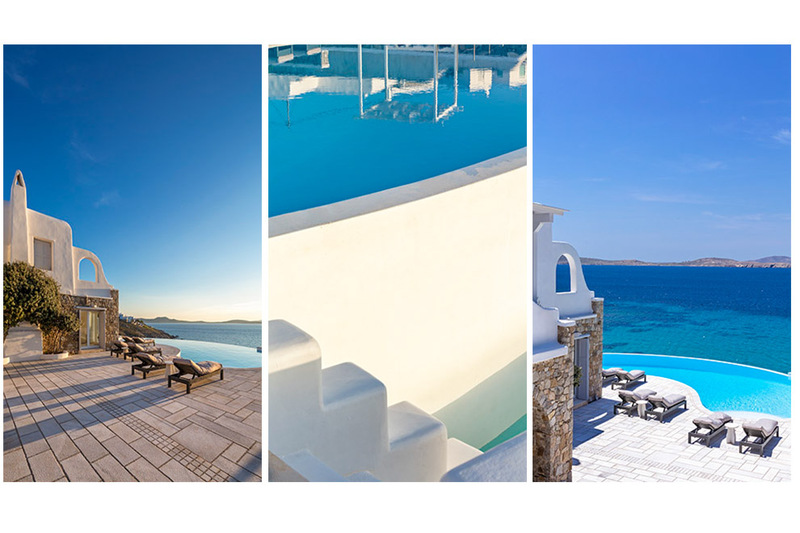 Mykonos Town is only a few minutes away from the villa, providing the guests with direct access to the cosmopolitan shops in the picturesque narrow cobbled streets and the intense night life.